How Much is an Ocean Dunes Oceanfront Condo worth in Kure Beach? So a new oceanfront condo listed in Ocean Dunes in Kure Beach. 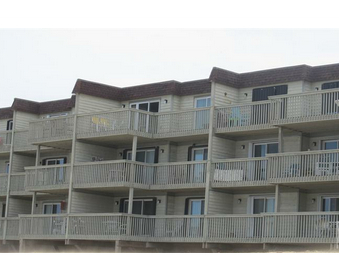 Here is the link to the Ocean Dunes condo. It is a 3BR 2 BA home with 1145 square feet on the top floor. It listed for $319,000 and much of it is original. Otherwise it would have listed for $339,000 probably and with a 3rd bedroom for $349,000.